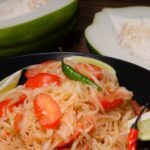 Laotian spicy green papaya salad called tum mark hoong is an awesome side dish. It is refreshing, spicy, a little sweet and salty and of course a bit savory. Yet another Lao dish that gets it just right to please the palate, with a balance of flavors. Normally they eat this very spicy. You can adjust the heat to your tolerance as Thai chilies are pretty darn hot. Also be sure to venture to your local Asian store to get a real green papaya. It is not the same as an unripe papaya. A true green papaya is a fruit all its own. You will love this addictive salad, you can serve it with some grilled chicken, leafy vegetables and of course sticky rice for a delicious Laotian meal. A staple salad in Laos that hits all the notes that Southeast Asian cuisine is famous for. 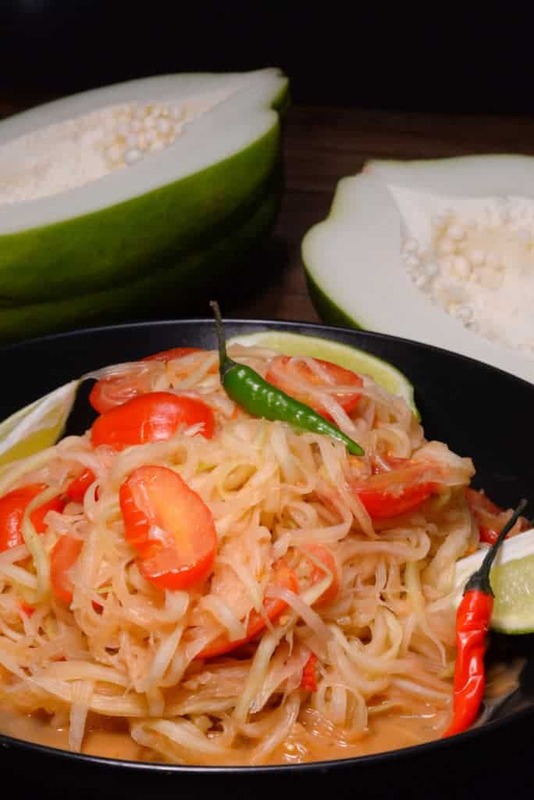 Wash and peel the green papaya, cut in half and remove the seeds, Shred it using a shredding tool or julienne it with a knife, being very careful. Peel the garlic cloves, wash the chilies remove tops, slice the lime into wedges and halve the tomatoes. With a large mortar and pestle start pounding the garlic, chilies, salt, sugar and shrimp paste together. Add a handful of the papaya and then the halved cherry tomatoes into the mortar, and gently pound them into the mixture. 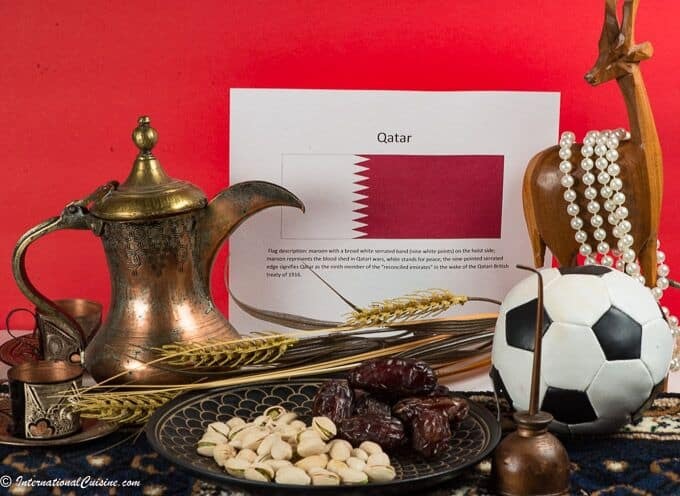 Use a spoon to fold over the mixture and continue to pound them together. Don't pound the cherry tomatoes too much you want to remain in tact. Add the remaining shredded papaya, fish sauce and squeeze the lime juice. Continue to pound and mix everything together turning often. Taste the salad and add whatever you feel in necessary to get that balance of spicy, salty, sour, sweet and umami flavors. It is fine to make ahead and refrigerate to let the flavors meld together, it actually gets a little better with time.